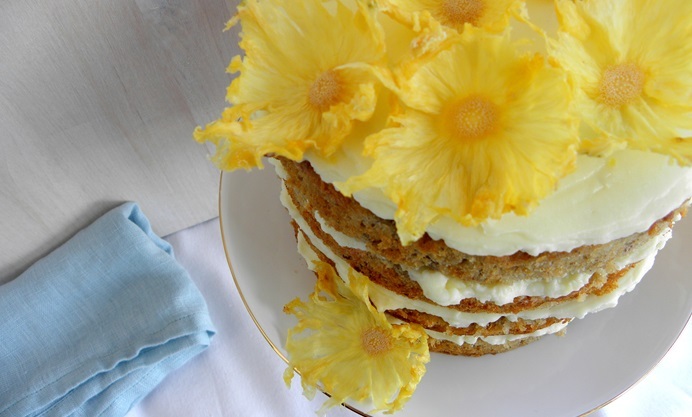 Howard Middleton's majestic gluten-free hummingbird cake recipe is topped with a grand crown of pineapple 'flowers' – a colourful clue to the ingredients found within the cake. Packed with tropical fruits and finished with a decadent Malibu-laced frosting, this is a great celebration cake for summer parties. The origin of the hummingbird cake is questionable. Some say its name comes from a nectar-like quality – others claim that you can’t eat it without humming with pleasure. It hails from the Deep South of America (picture teatime at Tara) and features a tropical fruit basket of ingredients – coconut, pineapple, banana, pecans and passion fruit. 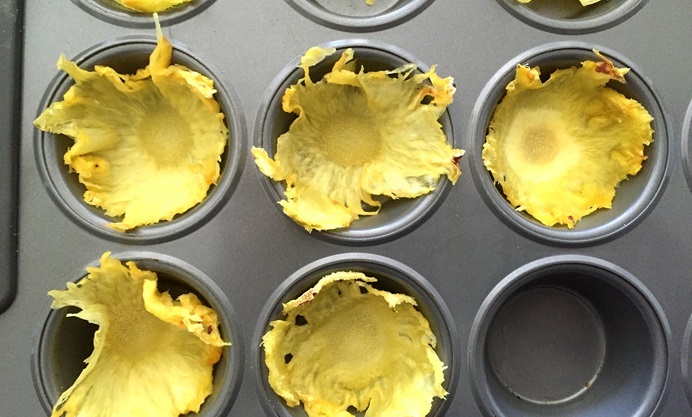 For extra glamour, I add pineapple ‘flowers’. This particular hummingbird winged through fields of golden corn and came out gluten-free. Add white coconut rum to the frosting and its journey will take you somewhat off course to Malibu – geography has never been my strong point. 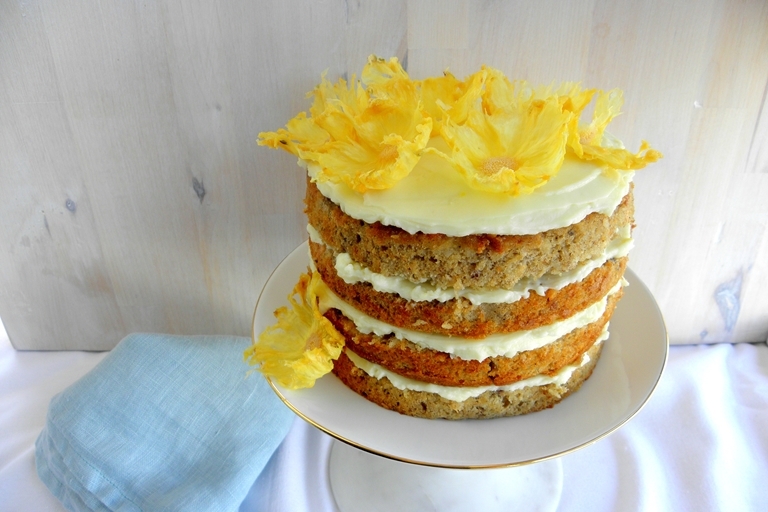 If you make the flowers, you can save enough fresh pineapple for the cake. If not, use tinned or chilled chunks. Soft, ripe bananas work best but if yours are too firm just pummel them a little before peeling.